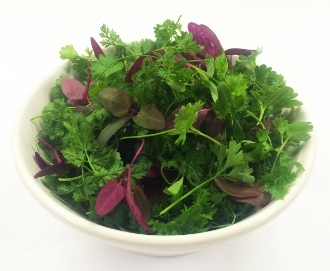 Classic French combination of fresh herbs, including chervil, chives, tarragon and parsley. Attractive mix of contrasting colors and textures. Fantastic accompaniment to French and Italian dishes; pairs great with poultry, lamb, and steak entrees.